Due to the rapid growth of online advertising online mobile comes in a whole new channel . Mobile already provides for 50% of the traffic on Facebook. Mobile advertising on Facebook now results in a tremendous growth in the sales of mobile ads and a share price level during the IPO. This growth is partly because the click behavior of visitors on mobile is very different from the desktop. The CTR - click through rate - on mobile is much higher ( > 2 % ) than on the desktop ( < 0.1 % ). That change in click behavior is partly caused by the change in click instrument i.e mouse vs finger. The finger delivers directly and is enormously sensitive to emotion. But if the image or message on the Facebook timeline is not liked, the resistance to click is also a lot bigger. Then it is seen as spam. The famous User Interface guru Jacob Nielsen already said that using your finger on a pad produces a "fun " factor, an emotion . 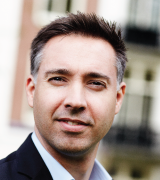 His observation is supported by the strong increase in CTR on mobile. Advertising on mobile via Facebook. Facebook has restyled its ad format. The main result is that for all channels the image format remains the same. The image of the creative only needs to be created once. Facebook has basically three types of ads : A The messages sponsored story in the news feed on the desktop, B the sponsored stories, which are recognized as messages in the news feed of the Facebook mobile app and C. The small ads on the side of the newsfeed. In this article we will discuss the effects and optimization of B : the sponsored story in the Facebook mobile app. After all if this ad fits well with the audience and is successful, it can be expected that the desktop A and C versions will be too. On mobile only the sponsored stories that are posted in the news feed with the label sponsored are visible. 50 % of Facebook users now see their timeline on a mobile device. This makes Facebook ideally suited for creating effective and measurable advertising campaigns on mobile. Now it is possible to post ads on the Facebook Timeline timeline in the form of messages, without them being part in the news feed of the company page. The advantage is that the editors of the page can retain their own posting rythm and that the ads are very focused on specific targets and can be tuned to target groups. The target can be linked to the target audience you want to reach. Quite specifically using Facebook Ad Targeting. Below is the result of a campaign that is designed that way. High CTR is important because it positively influences the edgerank algorithm. Brands should watch out for spam. Brands now need to be much more careful when creating messages on the newsfeed of Facebook, because the effect of the consumer in a positive or negative sense is many times stronger. Recent research shows that 7 % of the messages of brand pages are considered spam. The consequences are detrimental to a brand because Facebook will squeeze dissemination of messages. Ultimately, the brand page will even be removed. The advertiser on Facebook must have a very precise itinerary to get high CTR , and at the same time not annoy consumers. The brand should not immediately try to promote products but should transmit the emotion surrounding the product. People share a lot more the emotions about something that they share with each other than the product itself. And if a message is shared in the newsfeed of Facebook by consumers, it is a relevant message and for Facebook is no spam. In sponsored stories it is therefore important to capture the emotions in images that suits the audience that the brand wants to reach. Research by Motivaction shows that audiences have specific preferences for certain visuals. Above are a few examples of image preferences for the Cosmopolitans in the Mentality model. Another choice of visuals again fits better with other groups . With knowledge of image preferences pictures can be selected that have an emotional click with the audience and reflect the core values ​​of products and brands. Effective targeting on Facebook by linking to the characteristics of your target group. If the brand uses the right attractive images to target in a post the probability that it is clicked by the intended target group is high. Especially if the targeting within the Facebook power suite matches the characteristics of the target group. Within Facebook you now can very well target your audience with the right image and therefore convey your message very focussed. If the Facebook algorithm sees that your posts are relevant and get many clicks by visitors and are shared and liked, the ranking of your sponsored story rises in the newsfeed. For brands that may provide more visibility up to 8%. Facebook held a press conference on this issue very recently . Knowledge of the structure of relationships and social networks also contribute to a focused targeting of audiences. Research among couples who have a longer time relationship show that people from the same Mentality environment have a much greater chance of a lasting relationship than if the environments differ greatly. Pepper 's dating site uses the Mentality target format for daters from closely spaced environments and links them together. The matches in this way come about in practice are also highly valued by the daters themselves. Selected by the daters images play a major role. In the selection Therefore Pepper also developed an app. Daters can in a similar way to Facebook on the iPhone ' swipend ' view images of profile matches and respond. Text can also be aimed at traget groups. Visitors on mobile sites react strongly to images and when emotionally consistent with the preferences of their favorite image that it will not be seen as spam, but as an invitation to like the story and share it. The same goes for text . Our research shows that different forms of text and specific words reflect the experiences of different audiences. So with a deliberate choice of words, you can appeal to certain target groups more than others. In the USA academic researchers found the same results. Research at Harvard University has shown that an important role in viral sharing of content is reserved for the personality of the denominator of the content . The same results are seen in the Motivaction research that the brands should first determine which groups it wants to reach , since the right image and the right text and deliver precise targeting with Facebook Power Editor the CTR may increase enormously. With this approach we have seen CTRs of over 6.5 %. Make sure with Facebook mobile advertising that your message matches the personality of your target, increasing the likelihood that your message is going to be shared will be a lot bigger. Besides a good creative expression that suits your audience the concept of your message plays an important role in connecting with the personality of your target audience. First carefully choose for your brand the target audience you want to reach through social media. Provide images that fits the values ​​patterns of your target audience. Make sure that your messages always remain fresh and current. Make sure that the image or video in your message appeals to your target audience in such a way that they see it as an honor to share the message with their friends. Creatives are as important as the match with your target audience . So creatives by themselves are only half the story. You find the Dutch version of this blog here. "Eye on Social" is a young company with a unique approach. Based on three pillars: the mathematical and statistical knowledge of ORTEC, marketing and behavioral knowledge of Motivaction plus the creativity and experience of a team of driven social media pioneers. We have everything to help to establish and evaluate social media campaigns for your organization and to deliver there where this impact is greatest. Get to know your visitors, approach them with offers tailored for them and build your brand and reputation with "Eye on Social". 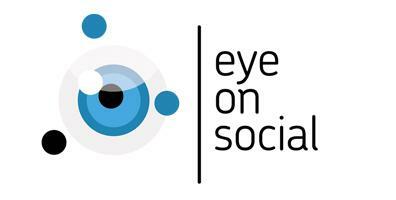 2013 eyeonsocial.com. Powered by Blogger.